Sulaimania (Kurdish: سلێمانی / Silêmanî / Slemani ); is a city in Iraqi Kurdistan. It is the capital of Slemani Governorate and served as the capital of the Kingdom of Kurdistan from 1921 until 1924. it is surrounded by the Azmar Range, Goizja Range and the Qaiwan Range in the north east, Baranan Mountain in the south and the Tasluje Hills in the west. The city has a semi-arid climate with very hot and dry summers and very cold winters. it has served as the historic capital of the Kurdish principality of Baban from 1784 to 1850. 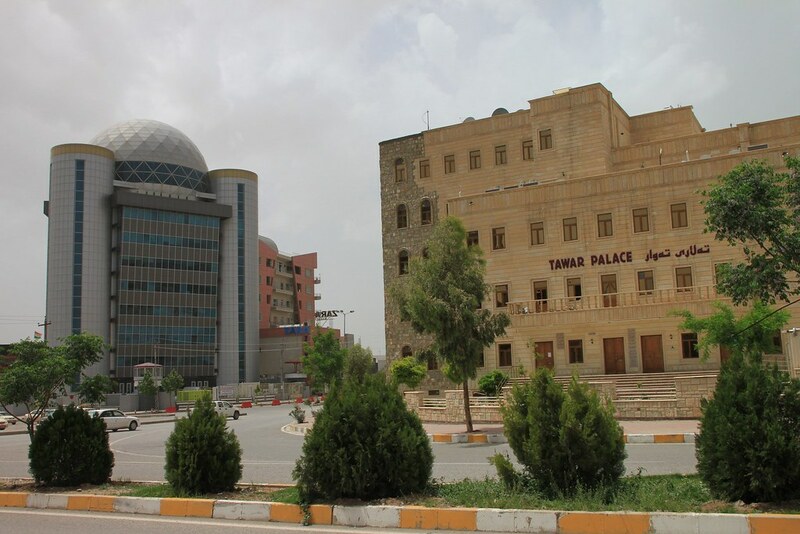 The modern city of Slemani was founded in 14th November 1784 by the Kurdish prince Ibrahim Pasha Baban who named it after his father Sulaiman Pasha. 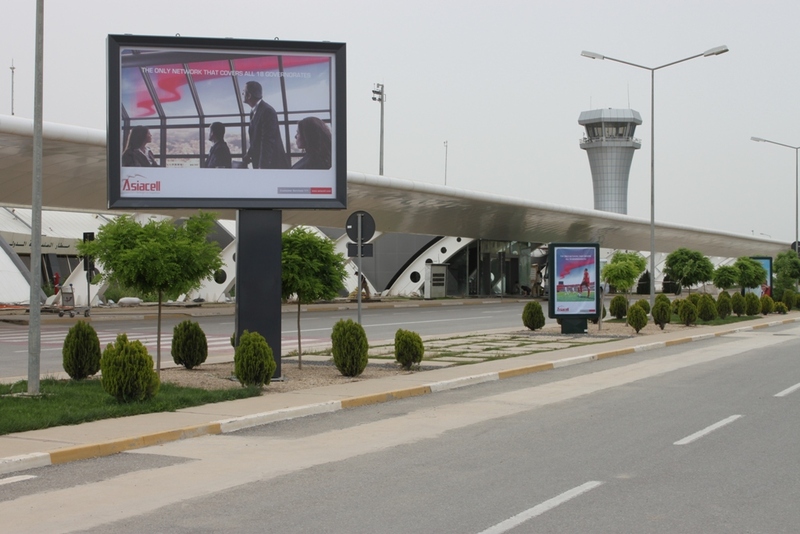 Because it was founded as the capital of a powerful Kurdish principality, it has developed into a large city with a population of about 759,508 people. 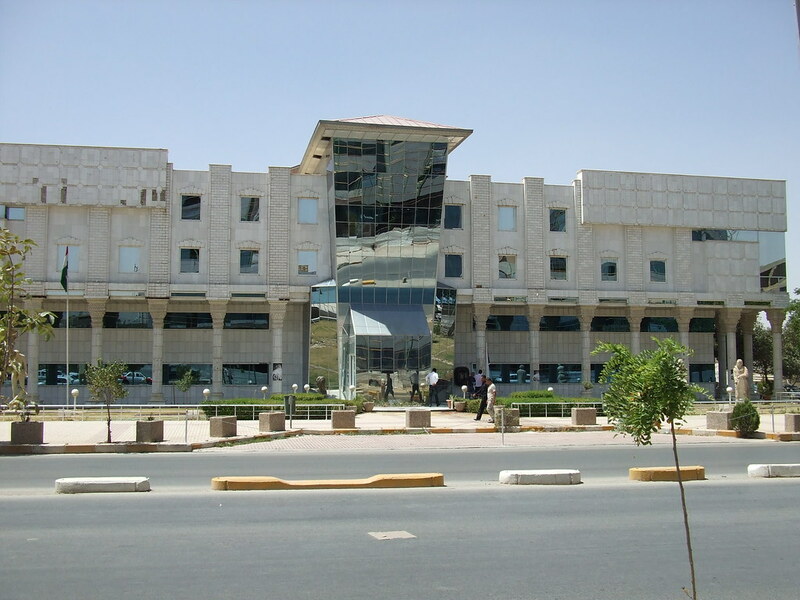 It is the cultural center of the Sorani-speaking Kurds and an important economic center for Iraqi Kurdistan. The tower consists of 38 floors with a total height of 150 m from the top of the hill. The mail building includes five restaurants, fitness and health area, an outdoor swimming pool, and children's playground. The hotel will consist of 196 rooms, 55 suites and 2 royal suites. The tower features a unique architecture with a revolving restaurant on the top of the building. a Five Star Hotel (22550 m2 Buildup area) which has 196 guest rooms, 55 suites and special suites, five restaurants (Mexican, Chinese, Italian, Lebanese and All day dining restaurant) beside a revolving restaurant at the top of the tower, and all other areas that five star hotels include. One auditorium accommodating 300 seats (6846 m2) and one ball room for 750 people (5378 m2) are annexed to the tower. The whole project is located at the top of a hill about 50 meters above the street level overlooking the whole city of sulaimaniya. The above mentioned buildings are surrounded by well designed landscape, parking and access roads. 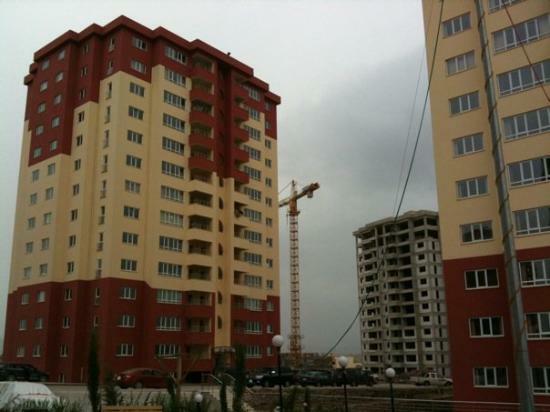 Floor consist of 4floors each one 225m². The estimated cost is 600 $/m². Foundation stone laid for 6 towers which will be apartments with 29 floors each . it includes 650 units . this project includes 350 housing units on the salim street with all the services. City Centre Hyper market, 100 Brands, 20 different Restaurants, 5 different cafes, indoor game land and bowling center, normal and 6D cinema, 2000 car parks. 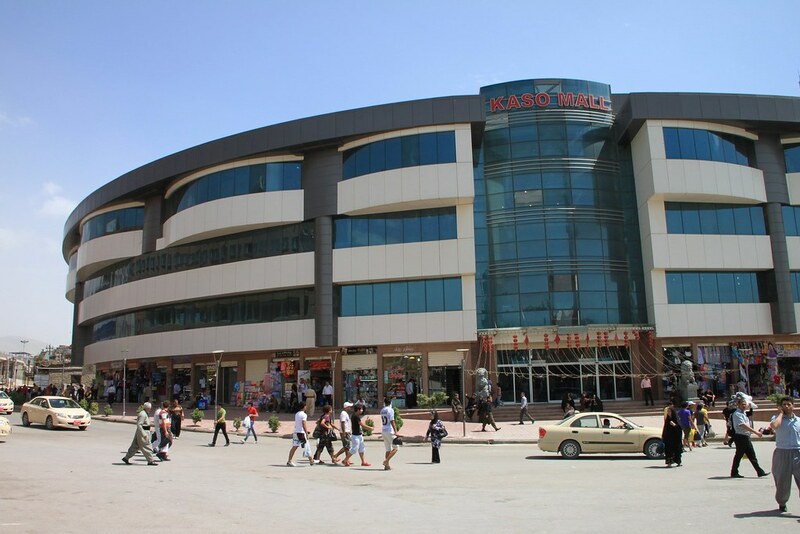 Majidi Mall construction located on the road to Tosluja was started in 2011 by Goc Kardeshler and construction works are proceeding rapidly in order to be delivered in 2012. Malik Mshmood street in Sulamani. 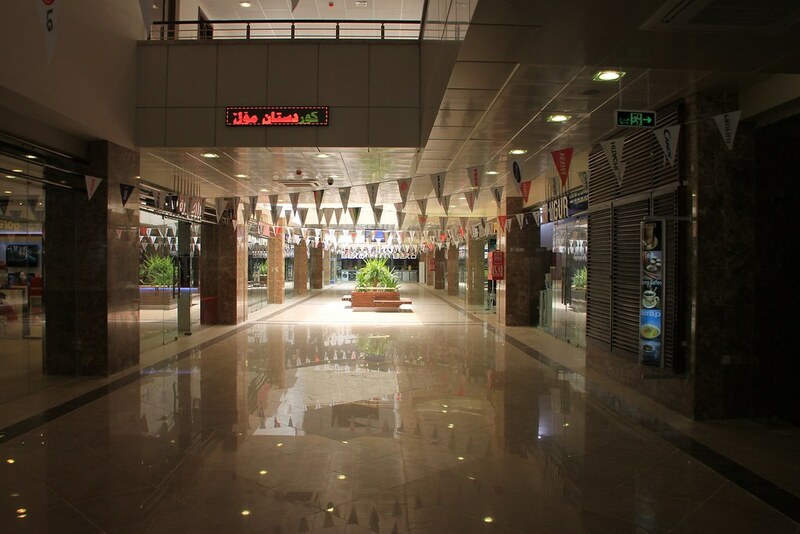 Located on Salim Street, the Sulaimany Mall is centrally located to accommodate consumers, office tenants and apartment residents. The Mall complex sprawls a land area of 6000m2 (total buildup area of 65,500m2). 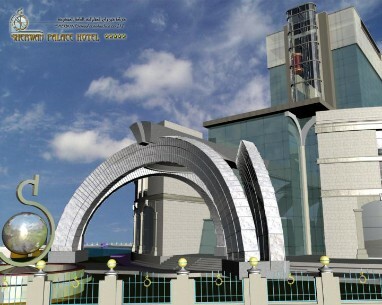 It includes a 20,000m2 state-of-the art luxury enclosed commercial shopping area. Additionally , a 15,000 m2 office tower will provide centralized locality with modern amenities to 163 office spaces. Adjacent to the office tower, a 15,500m2 luxury full-service apartment high rise, encompassing 149 apartment units, majestically overlooks cosmopolitan Sulaimany. 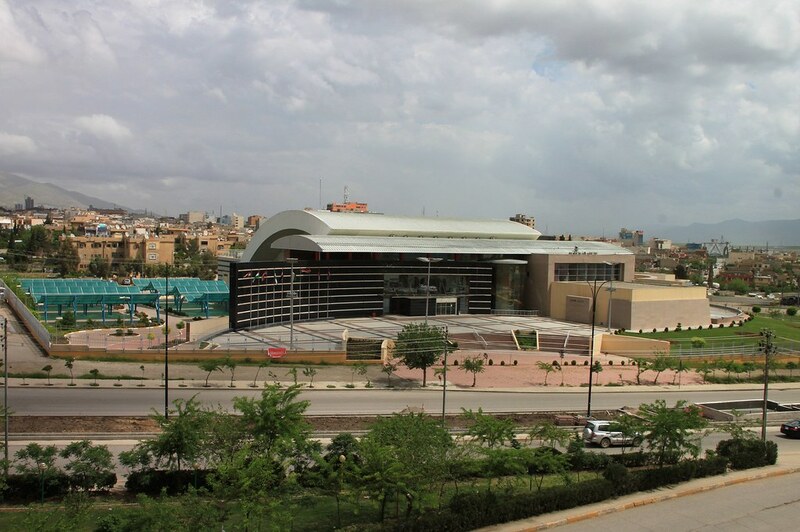 Three underground parking levels will accommodate a total of 300 automobiles for the Sulaimany Mall complex. 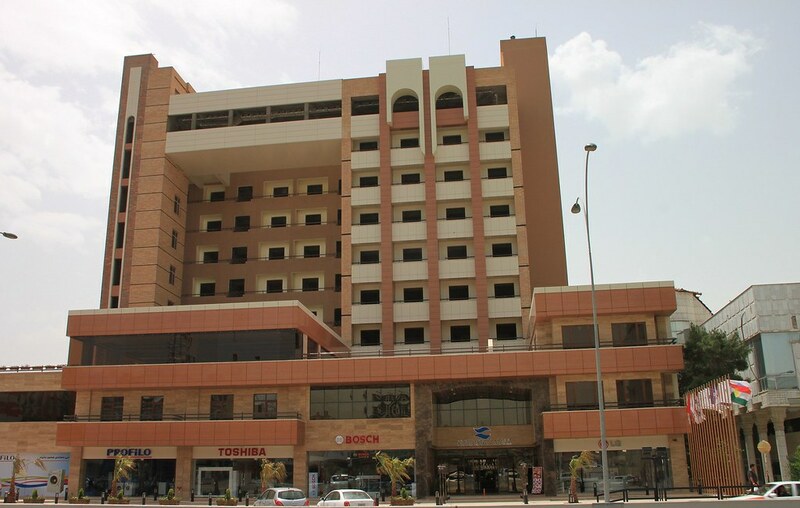 Al Sulaymaniya City Center which consist of three parts,First one contain a two 14 floor tower, one for offices and the other is furnished apartments.Second one is Mall.Third one is contain a Cinema, Food court and Playing area. 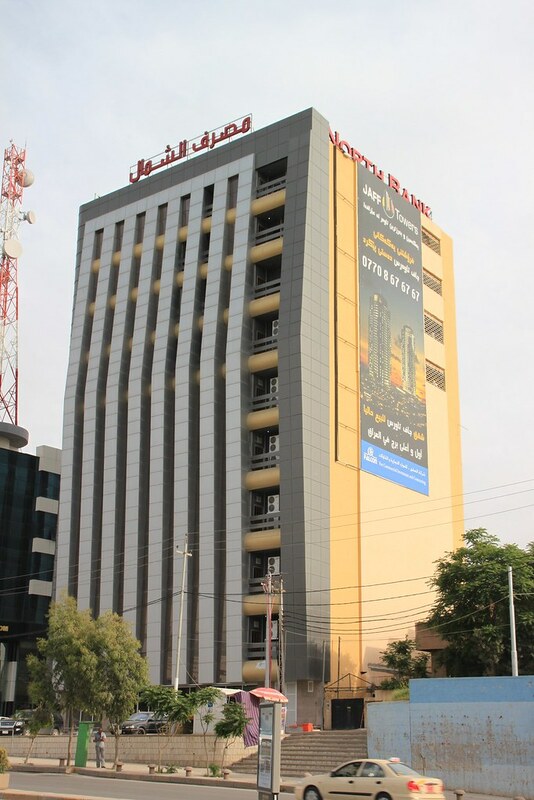 Faruk Building in Sulaimani/ Kurdistan Iraq is an important move not from management level but also it is an indication for a new management structure and a new vision for investment in Kurdistan, Iraq and the region. The Group which does hold investment and companies owned by the businessman Mr Faruk Mustafa Rasool , which has a diversified activities in Telecommunications, Hotels , Medical services , Buildings , Construction , Car Agencies ,IT Technologies and Offshore Companies. 1 - a tourist hotel (5) five stars. · Design the first to be shaped (O) the number of English (6). · Design the second letter on the form (I) the number of English (13). · Design the third form letter (L) the number of English (4). · Type I: the area of each residential unit (Villa) (500 m 2) number (350) Villa. · Type II: the area of each residential unit (Villa) (1000 m 2) number (280) Villa. 5 - a commercial tower. 6 - Number of housing units (4) Each unit residential rate (15) floor and the total of (120) for each apartment unit where the residential apartments in three designs (150 m 2 200 m 2 250 m 2). consists of the hospital six floors of office space (25) without being built according to the latest engineering design, medical and contains (400) Bed, with all medical departments and curative For the field work was conducted in the hospital , visited Mr. Imad Ahmed, Vice President of the Kurdistan Regional Government Hospital project Sulaymaniyah new year and which is monitoring the (57) million dollars. * Design and Build of University Campus. * $260 Million original contract value. * 2 Million m2 overall ground area. * 6 Years Construction Period. * To accommodate 20,000 students. * Includes 12 km of Circulation Roads and Walkways. * All Utilities Including Water Treatment, Wastewater Treatment, Power Generation & Distribution, Drainage system and Sewerage system. Today Kurdistan PM attended the laying of Foundation stone for an international private University . 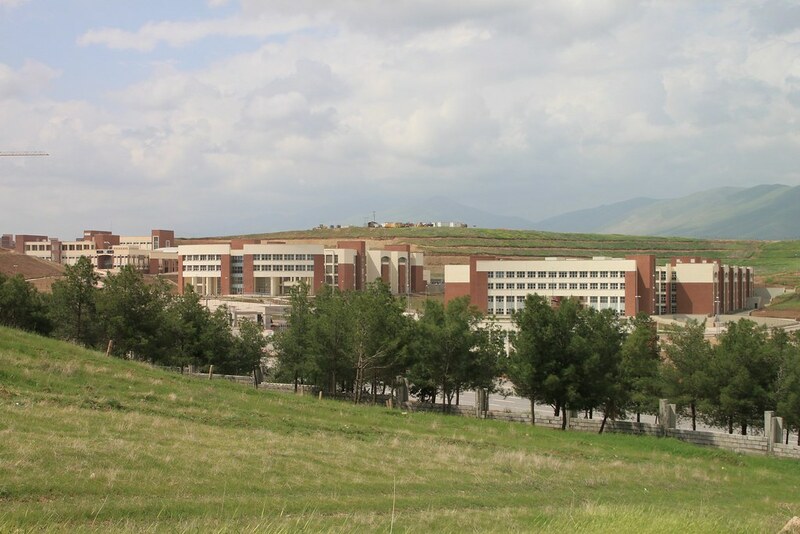 It will be called the "international University" (Zankoi Jihan) in Slemani , and Kurdistan PM Barham Saleh said "the University will be a private one and the cost of the project will be $156 Million , i hope in we will also open similar Universities in the cities of Kirkuk and Duhok". Farman Xarib the general director of investment in the city of Silemani said that the project has be given permission from the "investment committee" and the land allocated for the project is around 120 Donum in (Olluba) suburb , he said the duration is 3 years and will cover all the units for the students to be studied in. This project is designed as part of a medical . The rehabilitation hospital is programmed to handle non-critical cases and contains three adult rehab inpatient wards and one pediatric rehab inpatient ward for a total of 105 beds. 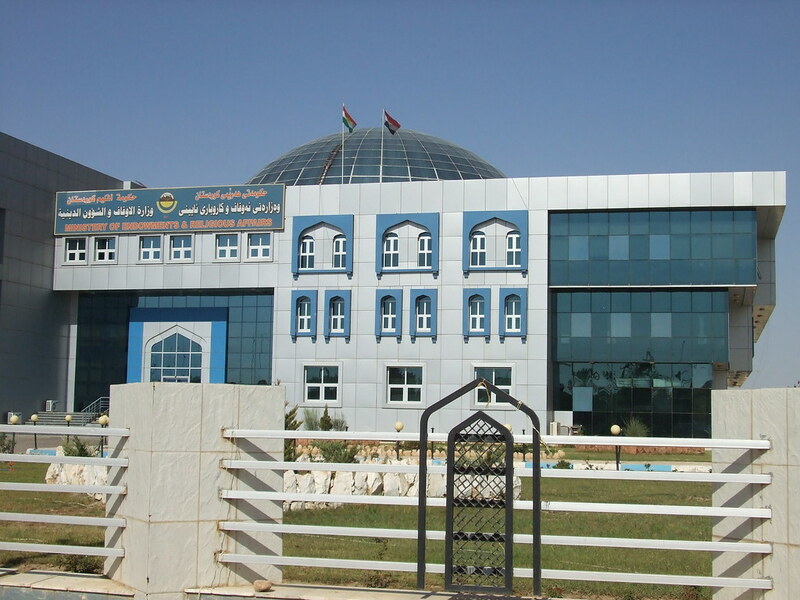 The hospital is fully equipped with an outpatient department, minor surgery unit, x-ray department, rehabilitation center with adult and pediatric therapy areas including occupational, vocational, hydro, electro, and physical therapy. The hospital is also equipped with all ancillary support departments to cater to the 105 beds including departments such as the laboratory, theater sterile supply unit (TSSU), laundry, catering and dining, central stores, and pharmacy to name a few. Last edited by alan131210 on Mon Sep 03, 2012 4:49 pm, edited 107 times in total. aallllllllllaaah.... Shari Sharan.... Dastit xosh bet kaka alan zor jwana! harchana hech nya la chaw hawler u dhoka... Gulli jwani Kurdistan xrawata zher pe.. ballam basaryanawa nachet. Last edited by Kulka on Tue Nov 08, 2011 2:31 pm, edited 1 time in total. ocmentos wrote: aallllllllllaaah.... Shari Sharan.... Dastit xosh bet kaka alan zor jwana! harchana hech nya la chaw hawler u dhoka... Gulli jwani Kurdistan xrawata zher pe.. ballam basaryanawa nachet. bray aziz xami hichu nabe kurdistan baraw bashi arwa barw xrapi narwa , jegay gandall karan zooor bchuk botawa , bas nabe 7ukmataka bruxe bas abe gorrankariw chak sazi tya bkre , bllem chi away basha xwa bomani bka. Kulka wrote: i am so proud that i belong to kurdish world. We have the most beutiful place in the universe. i know forget the oil , just with tourism we can have a good income for every citizen of kurdistan. btw guys none of these pics are mine i.e. taken by me i have collected them off the net and create it this whole thing myself but the pictures dont belong to me . Last edited by Kulka on Tue Nov 08, 2011 2:33 pm, edited 1 time in total. you should be able to list them here , i have added you maybe i can list them for you. Kulka wrote: i dont know how to do that - i am not very good in things on computer, i can do only simple things - but i know that something which used to work here before, now is not working and i am angry, coz everyone should have the right to put pics here. its not roj bash thats stopping you to post pics its facebook itself . i have sent you a request in my profile shows you name as friends request sent. Last edited by Kulka on Tue Nov 08, 2011 2:35 pm, edited 1 time in total. just do what i did in the Hawler thread . Last edited by Kulka on Tue Nov 08, 2011 2:36 pm, edited 1 time in total. oh ok im not too familiar here myself for example i still dont know how many mods there are and who they are. The Sherwan Palace Hotel will include a casino, a 5 star restaurant, a conference hall, presidential and other suites, a banquette hall, a spa, and 160 single or double rooms. Last edited by alan131210 on Sat Aug 18, 2012 4:19 pm, edited 1 time in total.